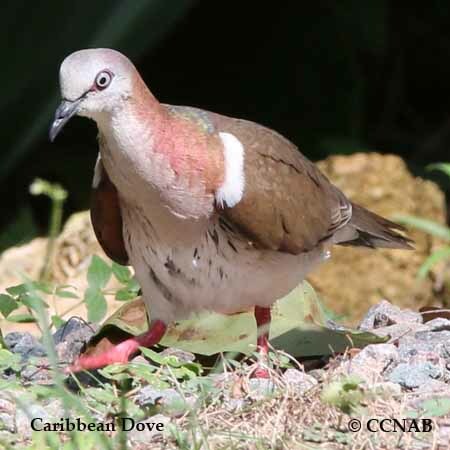 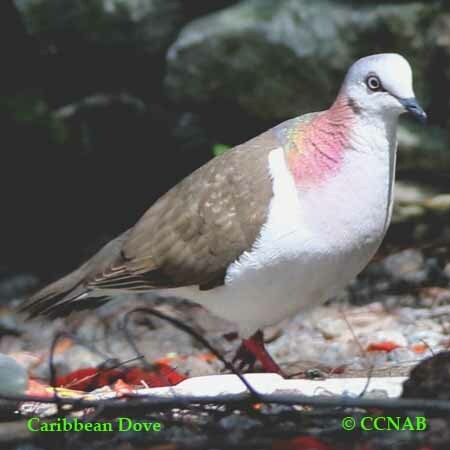 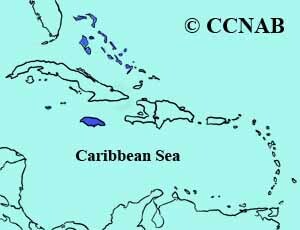 The Caribbean Dove is found mostly in Jamaica, on some of the Bahama Islands, the Cayman Island and the Yucantan Peninsula. 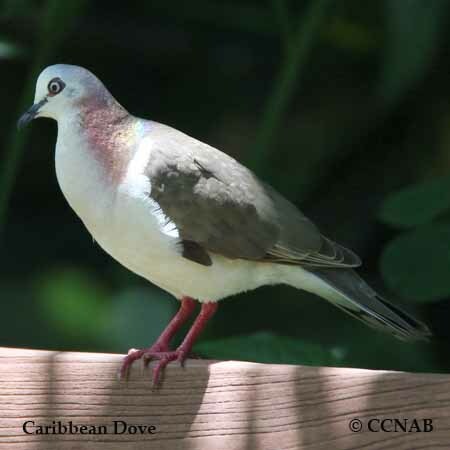 This is a very attractive bird, seen in light-greyish plumage and large pinkish spots located on the sides of its neck. 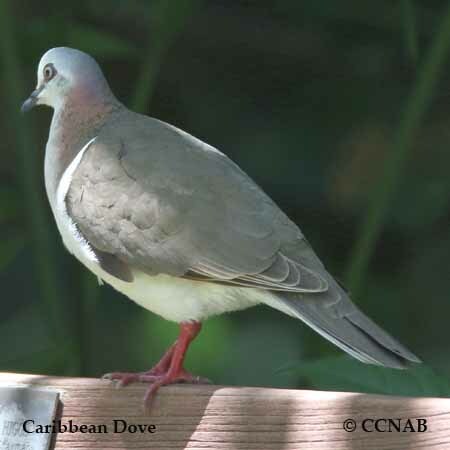 It is not always easy to observe, because of its habitats of feeding mostly on the forest floors. 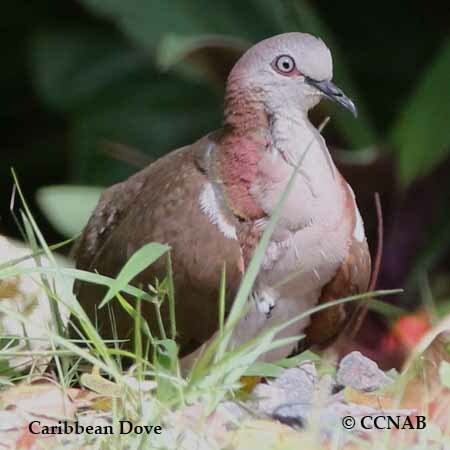 It has not been reportedly seen on the North American continent yet.